Product #149 | SKU 8-017-0007 | 0.0 (no ratings yet) Thanks for your rating! The DSLR Tripod Platform from Redrock Micro allows you to attach handheld DSLR rigs, including Captain Stubling and UltraPort, to a tripod. Use it to quickly connect to a tripod for lockoff or pan & tilt shooting. 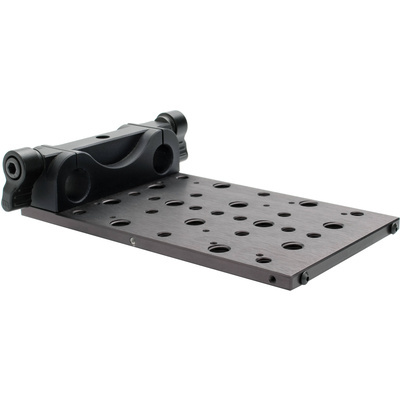 The included shim kit enables you to adjust the height of the rod clamp for rigs with parts below the rods.